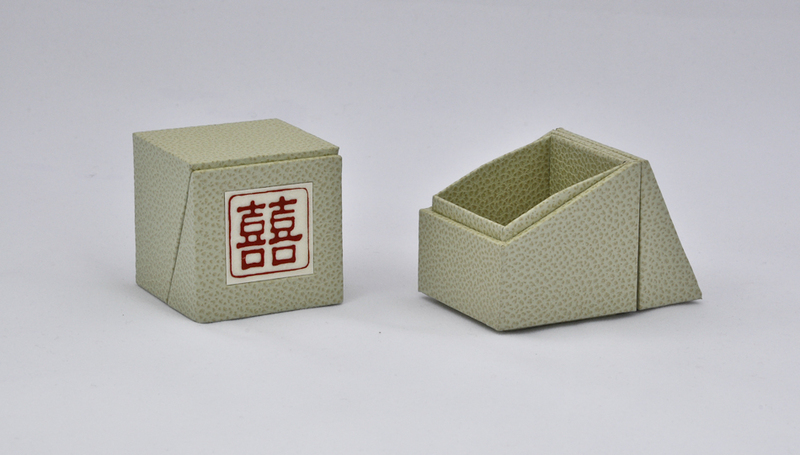 Cube shaped box with magnetic hinge. 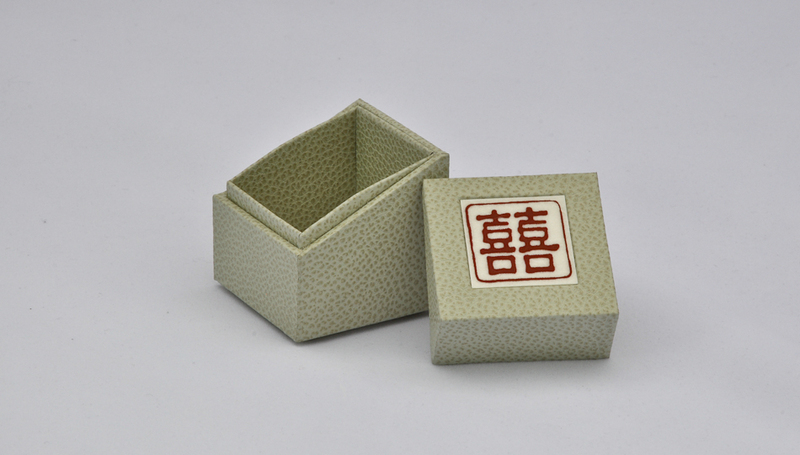 Celadon green leather, inset parchment panel stamped with “double happiness” character. 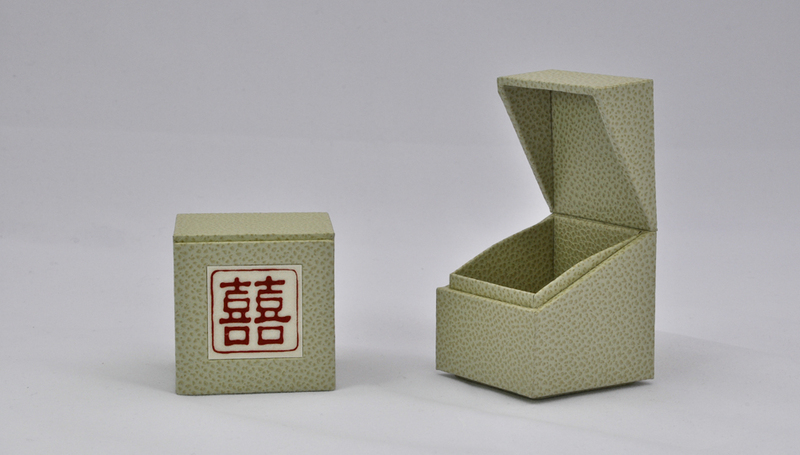 Interior lined in leather or fitted with ring cushion.